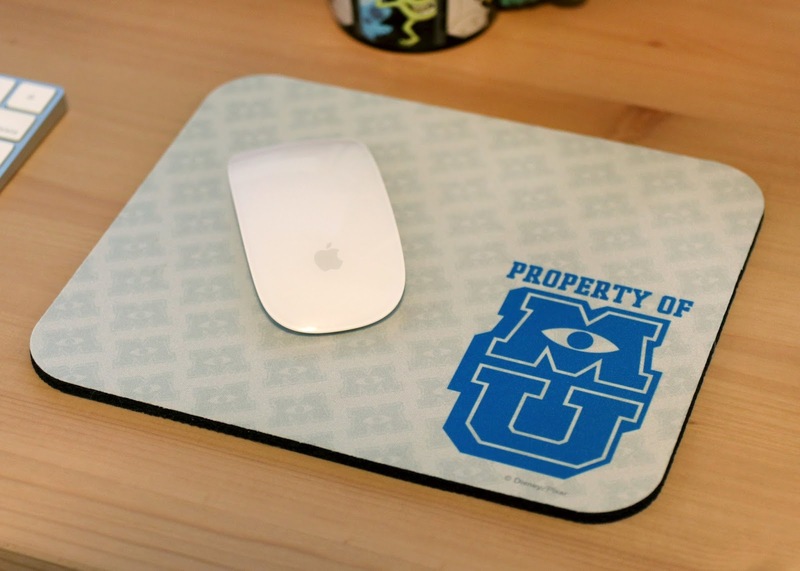 I recently picked up this Monsters University themed mousepad from the DisneyStore.com for my new home office desk! My desk is of course all covered with Pixar collectibles, so I knew I needed to add a Pixar mousepad for that final touch. Narrowing down which Pixar film I wanted represented on the pad was the hardest part, but I ultimately decided on MU once I saw this one. I like the simple, non-busy design here and the idea of a mousepad being "Property of MU" just seemed to fit with the whole computer desk aspect. I almost went for other designs from Up and Wall·E, but this one just made the most sense theming-wise. It's almost like it was taken right out of one of the computer labs at Monsters U. Love it! 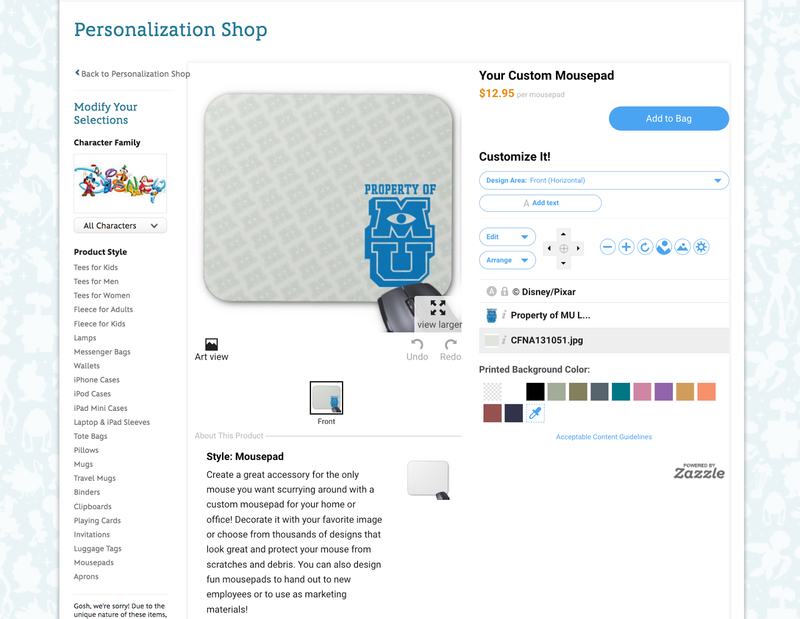 You can pick this up (and countless other customizable designs from many of Pixar's films) on the DisneyStore.com (powered by Zazzle) HERE. From the background color of the pad to the position of the graphics/art to even adding text and additional images...there are literally endless design possibilities! I chose one of their pre-made designs, but you can really go all out and have some fun with it if you want. All the mousepads are a standard size of 9.25" L x 7.75" W and retail for $12.95. The print definitely looks to be high quality, not to mention it's described as durable and dust and stain resistant. Highly recommended! Which design might you go for (or have gotten already)? Let me know in the comments below.